To celebrate 25th anniversary, SenMedia had a chance to help Hong Kong Science Museum to design the 3D model based on the 2D mascot to promote science museum and the anniversary event. 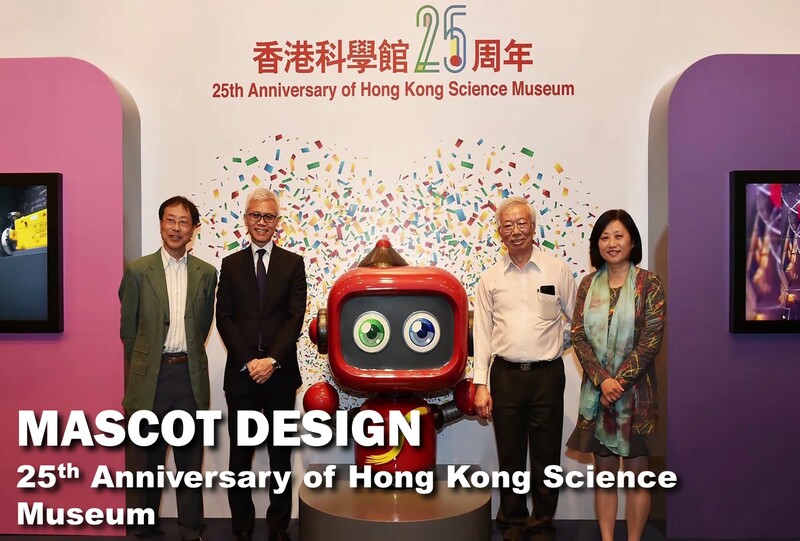 After the mascot 3D design is done, it was shown in all marketing material of 25th anniversary of Hong Kong science museum. A 3D mascot has been built for the ceremony. The year 2016 marks a very memorable year for the Hong Kong Science Museum. We are 25 years old! Back in the 1970s, the Urban Council considered the construction of a science museum with the aim of promoting public awareness and understanding of the development of science and technology in our society, and of raising people’s interest in science. This plan was eventually realised with the opening of the Hong Kong Science Museum on 18th April 1991. In contrast to traditional museums, visitors to the Science Museum are encouraged to manipulate the interactive exhibits in their own way to experience the fun of discovery and experience learning. To celebrate the 25th Anniversary of the Museum, we are holding an exhibition to review the past and present of the Museum. In addition, to tie with this memorial event, “Behind-the-Scene Tour of Energy Machine” is held to deepen visitors’ understanding on “Energy Machine”.